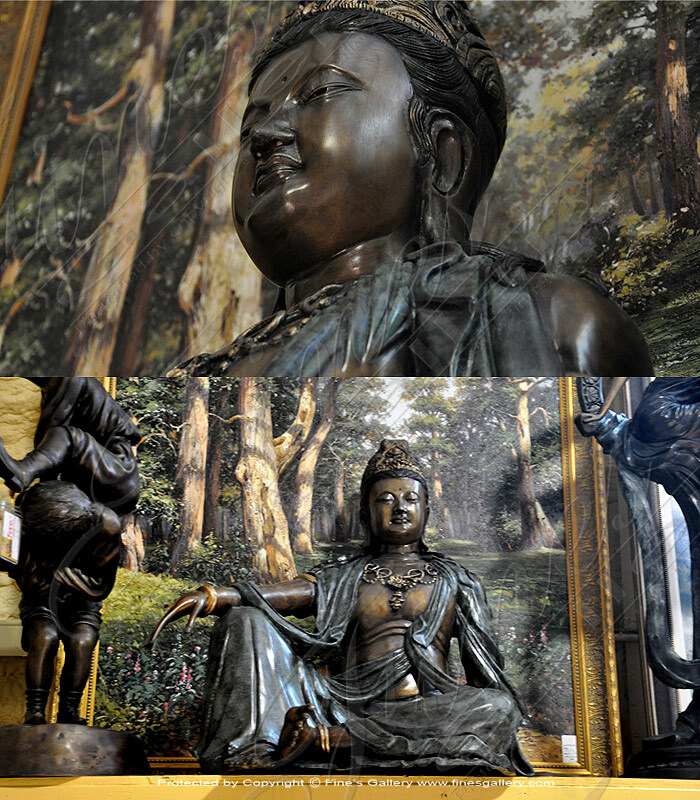 This bronze statue of bust of Buddhafeatures beaded hair and shut eyes tosymbolize enlightenment. 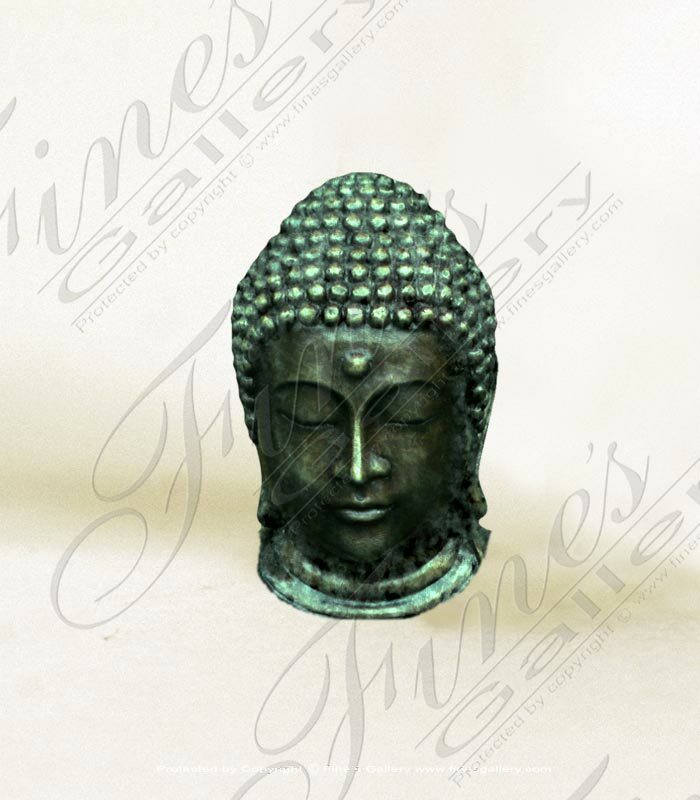 A fine treasure for your home, made from beautiful green bronze. Contact us today for a customized quote on this fine piece. A regal masterpiece. 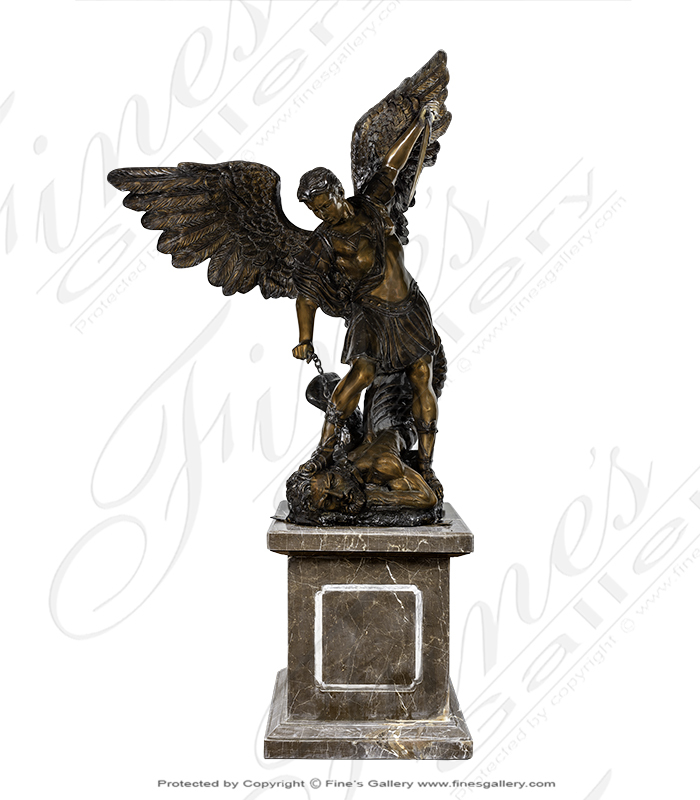 This bronze statue depicts Michael the Arch Angel in the Bibles famous battle of sin. Flawlessly hand carved magnificence portrays the angels outstretched wings and sword that is charged with power and dominance. A fine collectible. 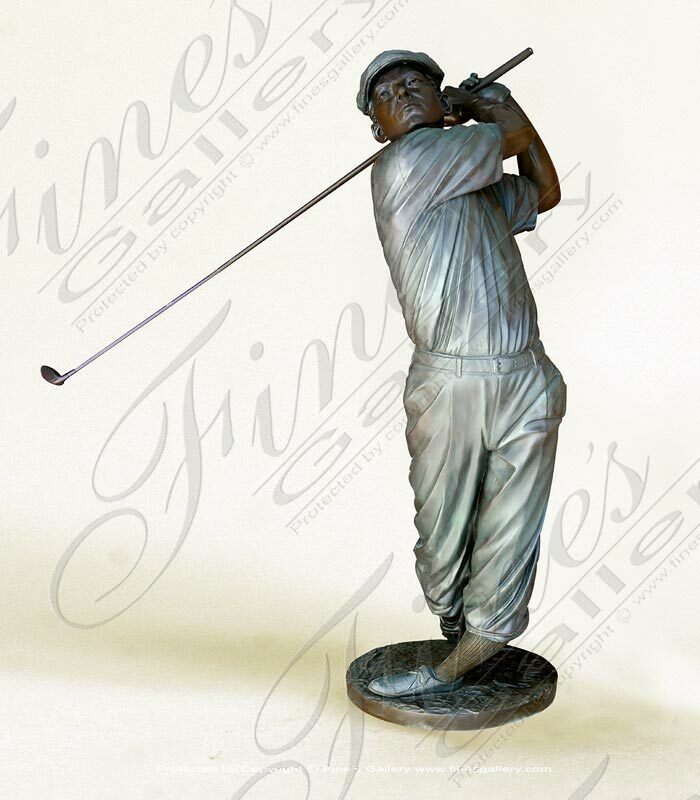 Place this 1920s golfer in your yard and celebrate your love of golf with his elegant tee off swing pose. 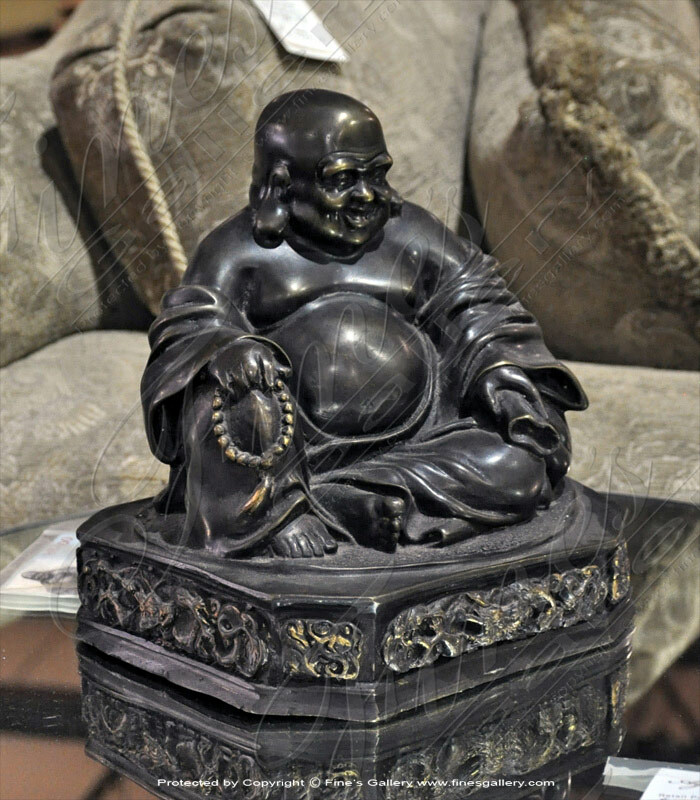 Hand carved from stunning bronze, this figurewill becomea favorite treasure.Contact us for completecustomization. This Szchen Era Chinese Buddha is the idol of Luck, Joy and Happiness. He holds the prayer beads in one hand while sitting on a low pedestal. His long ears represents longevity and health. 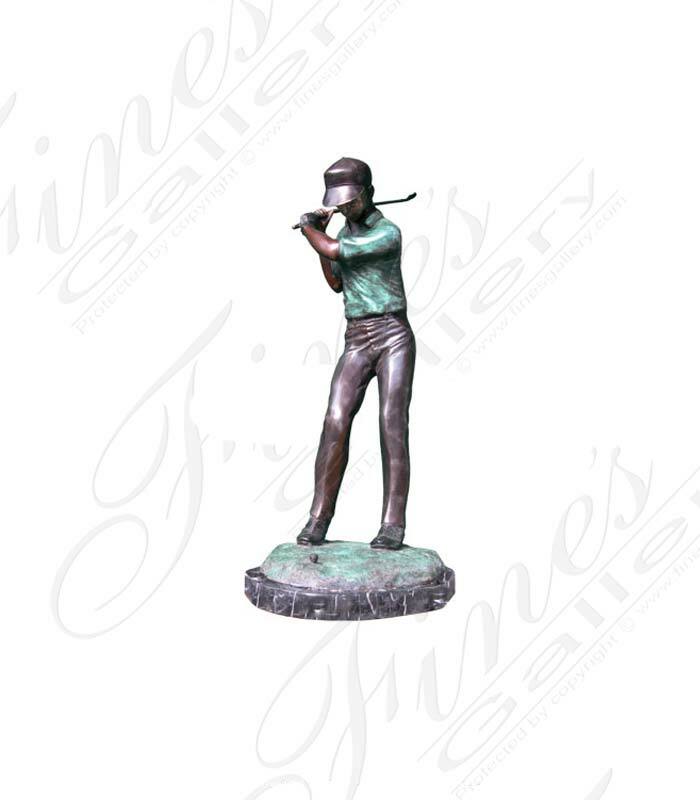 This Young Golfer Bronze Statue is a great decorative design piece for your home. Cast in classic bronze and highlighted with coloring, the Fairway Shot can soon become part of your existing home decor. Great for any game room or den. This resting 12th Century Bronze Hindu God has the clothes and jewelry charms of an intricately detailedIndian in a pure two toned bronze. 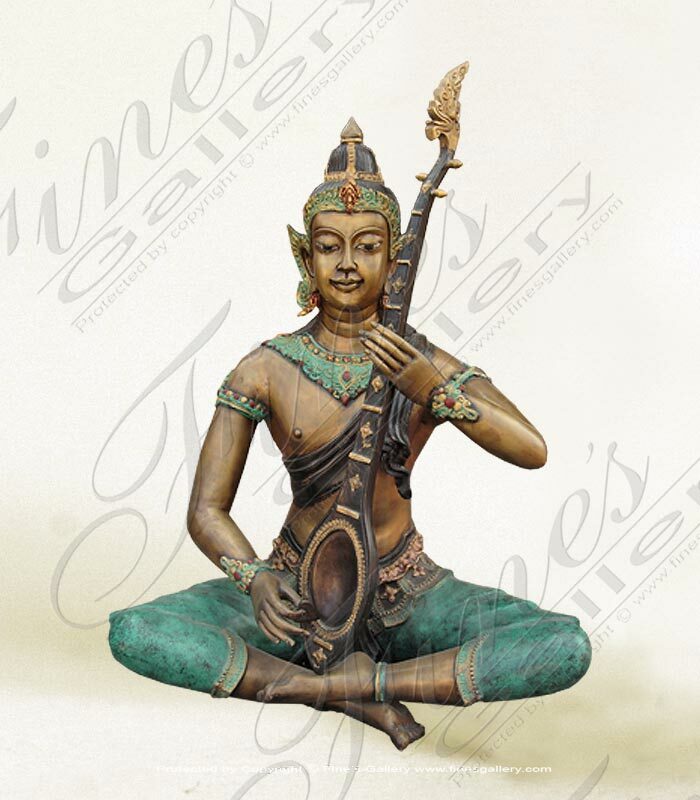 A stunning and exotic piece to compliment any decor, full of artistic beauty. Him and her lampposts cast in classic silver bronze along with a variety ofaccent colors. They feature lighting that will enhance every detail of these elaborate statues. Contact the gallery for personal sales assistance. Priced per pair. 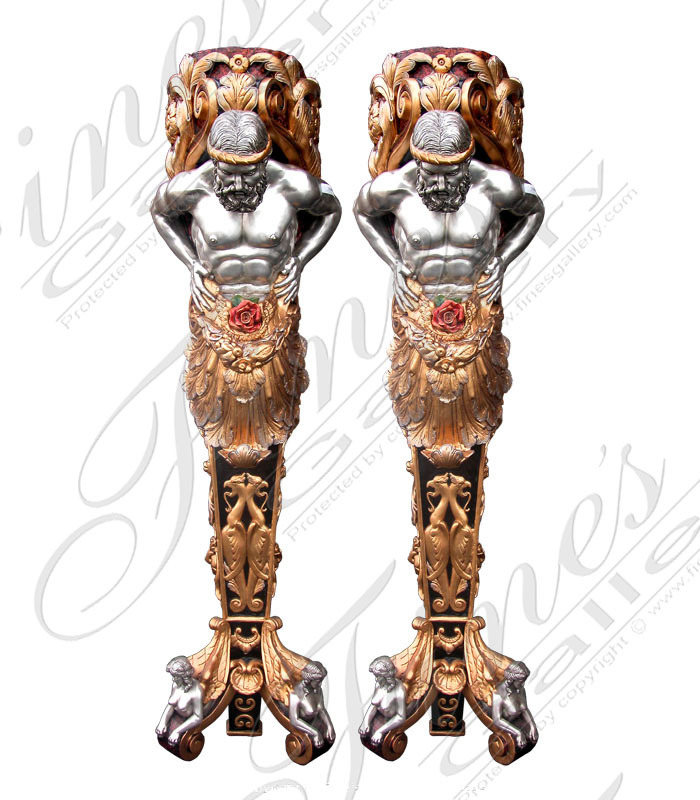 These statues arecast in Silver Bronze with deepGold Bronze highlighting. 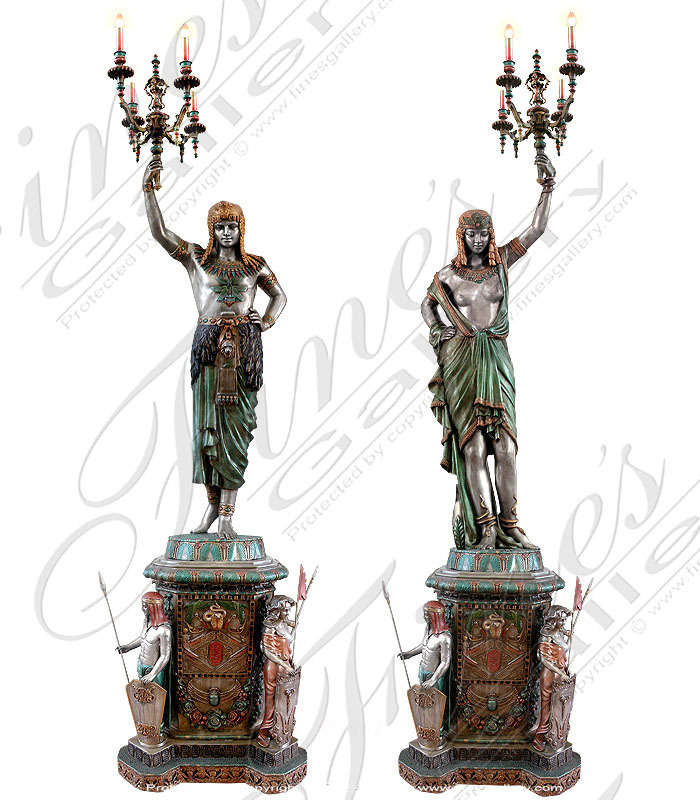 A Roman influenced piece, these statues will artistically and symmetrically provide beauty and stature wherever they are displayed. Thin, graceful and elegant, Krishna's youthful figure is enchanting. Cast in our Classic Gold Bronze complete with our solid black base, this work of art captivates its viewers. Enhance your home, garden or estate today. 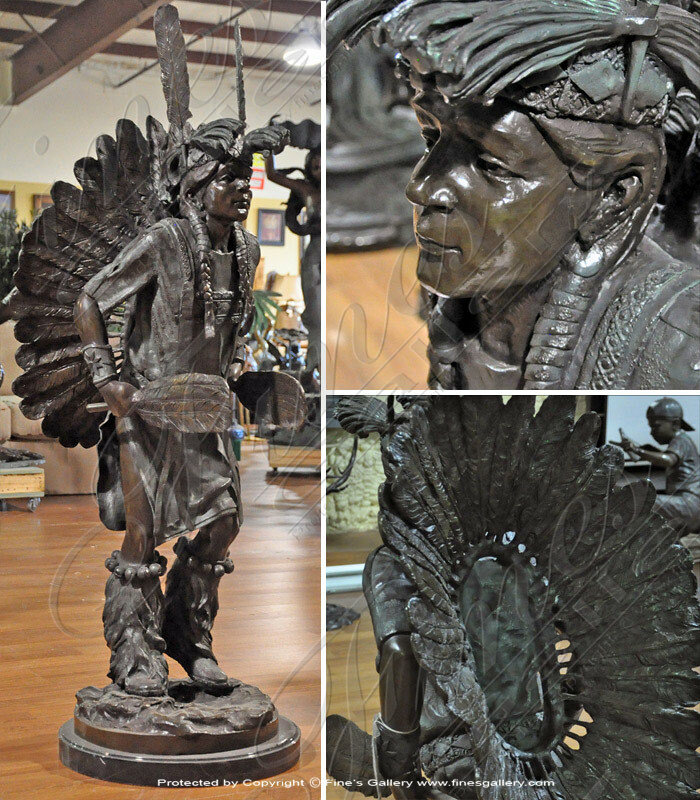 This western styled work of art bronze male statue is cast in our classic bronze. Featuring carefully crafted and artistically designed north American Indian in full dress dancing in a powwow. A very unique piece that can add to the beauty of your decor. 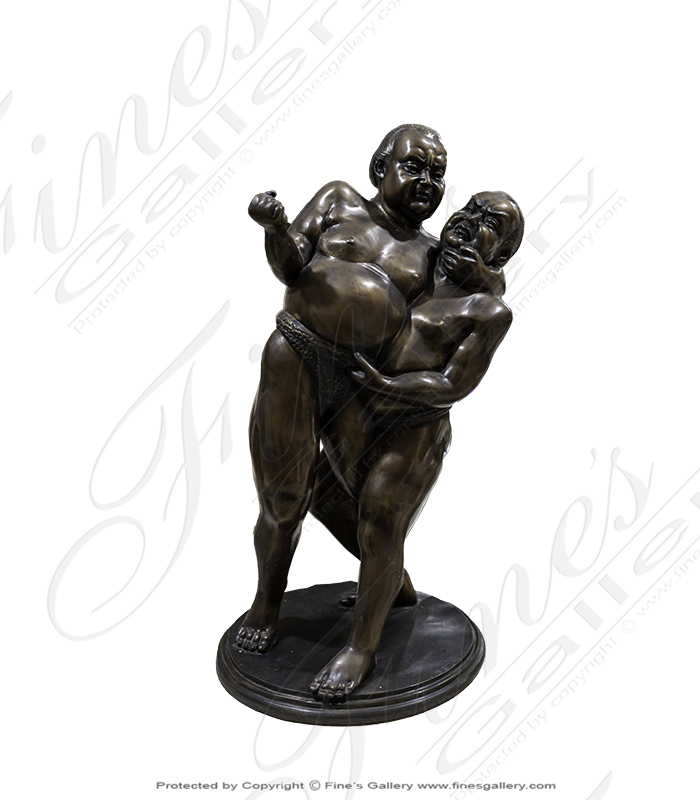 This bronzestatuedepictstwoathletesfromJapan's national sport, Sumo Wrestling.Shown here in astunning Golden Bronze finish, thismagnificent artwork willmake an exotic addition to your collection of home decor. The ultimate portrait of a brave warrior on horseback! 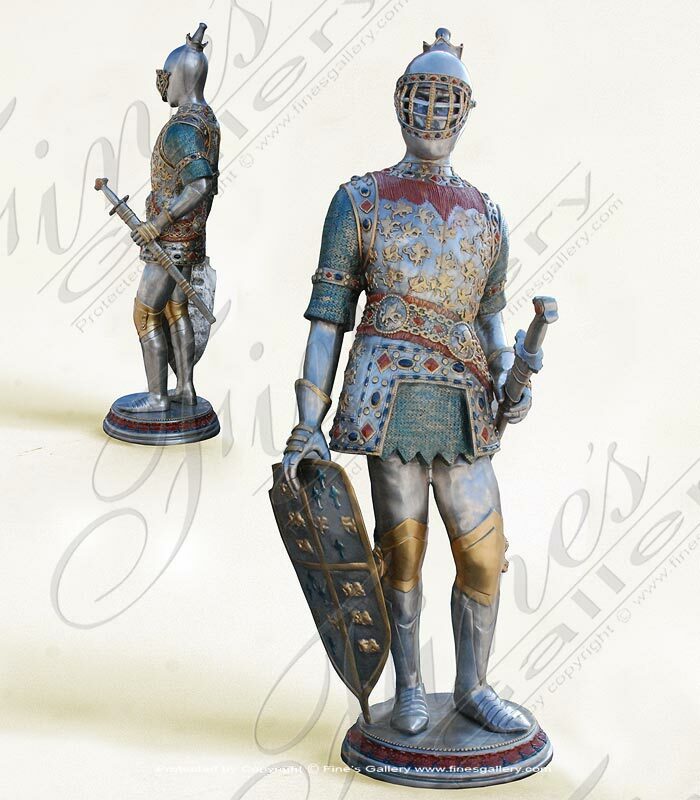 This statue will add character and a sense of history to any home. 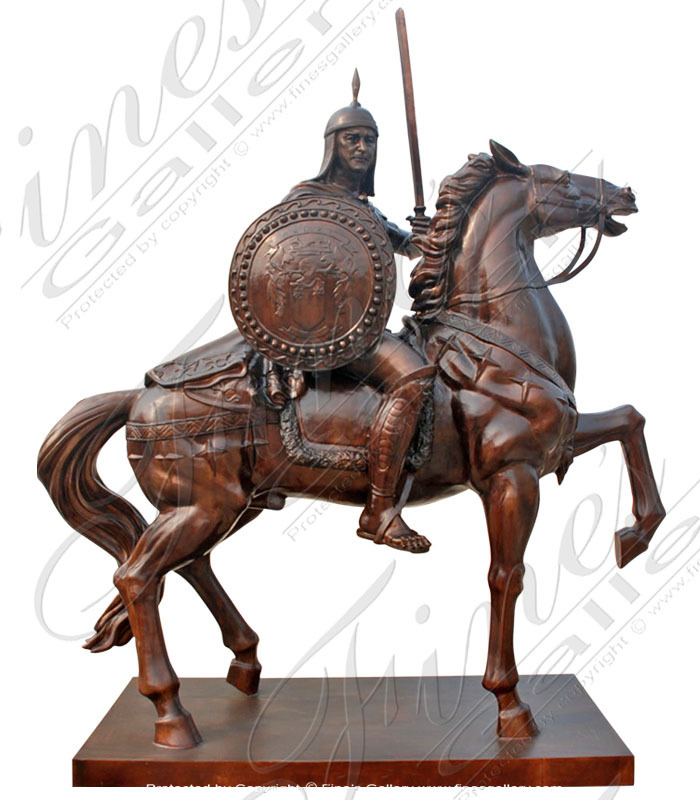 Made from bronze, detailing a brave stallion and warrior in full costume with ornate shield. Call us today. A fine piece to add to your home decor! 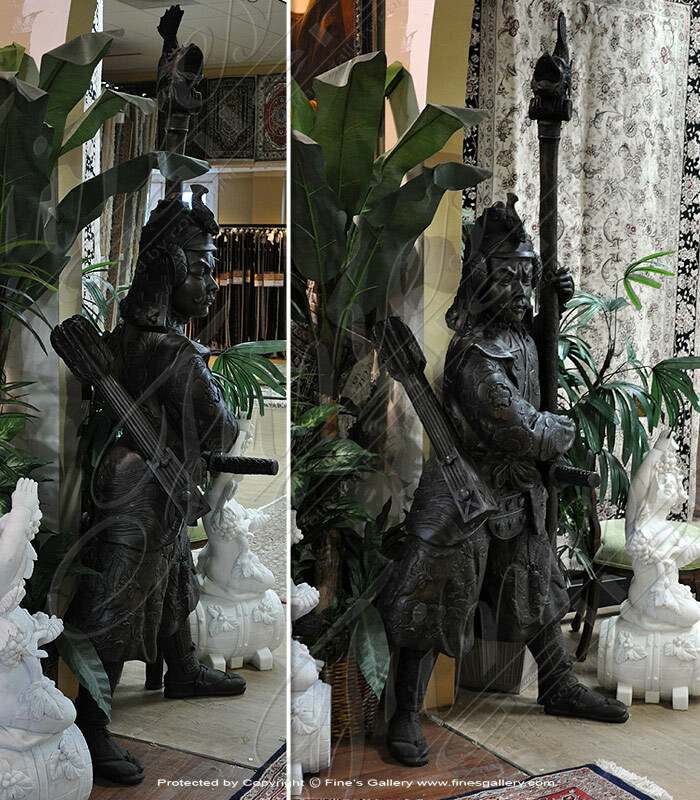 Full of exotic beauty, this statue portrays a brave Asian warrior standing with a large piece of ornate weaponry. 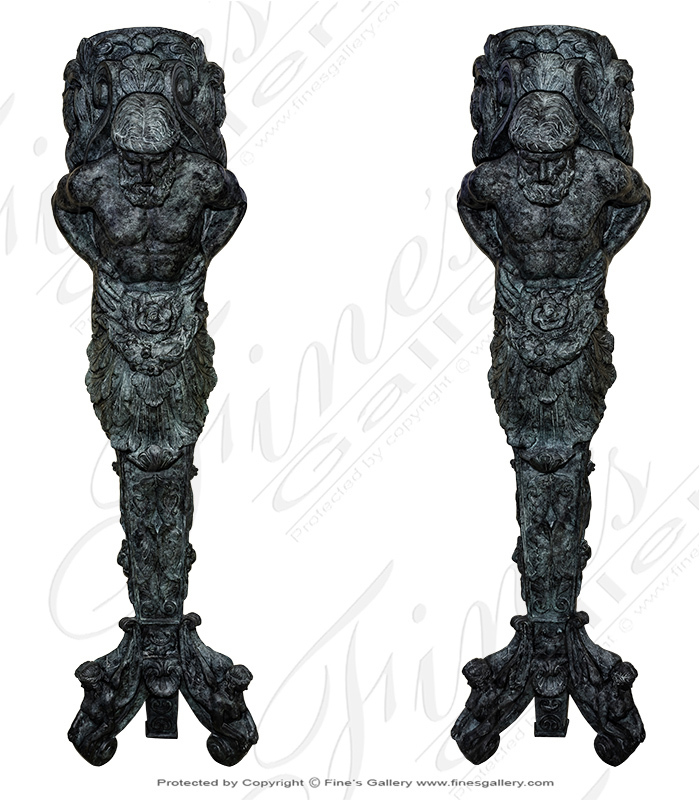 Perfect for outdoor enhancement, this piece makes a terrific bronze accent. This gorgeousbronzetreasure depicts aknight dressed in armor, made from several bright tones of bronze. Standing upon a large base, he will bring style and sophistication to any home decor. Contact us today for a customized quote. 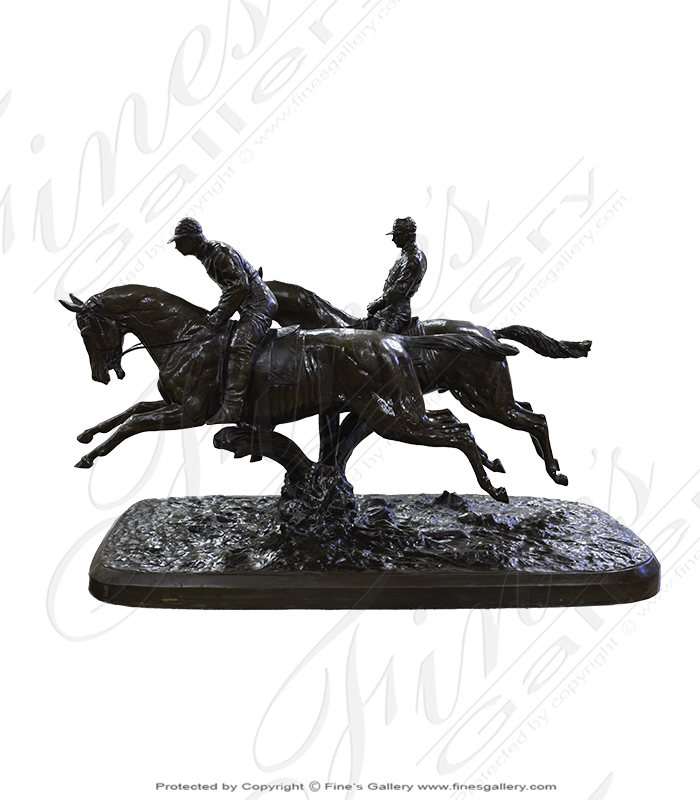 This incredible bronze statue portrays two horses and male riders in full costume. Made from dark brown bronze with spectacular realism and meticulous detail. This can be created in any size and color bronze you prefer. Call us today.